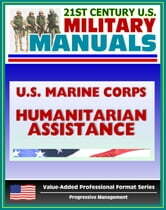 Part of our value-added professional format series of U.S. military manuals, this U.S. Marine Corps manual provides guidance on missions of foreign humanitarian assistance (FHA). MCRP 3-33B provides guidance to Marine forces, which deploy assessment, planning and mitigation capabilities to a regional CINC, whose mission is to respond to foreign humanitarian assistance and consequence management operations. It defines Marine operating force response to FHA/CM operations, provides reference to existing policy, addresses organizational and interagency coordination, as well as provides planning considerations, and organizational options for execution. 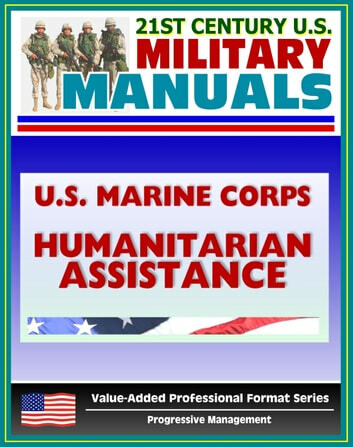 This manual also includes reference material and case studies for consideration and should be read by all commanders and staff planners with the potential to support FHA/CM operations. The commonality of these MOOTW missions lends them to articulation in one publication. Each has potential to deal with the effects of disaster, each requires rapid assessment to shape a force with diverse capabilities, each requires the military force to potentially deal with a multitude of agencies, contractors, governmental and non-governmental organizations common to complex contingencies. Foreign Humanitarian Assistance (FHA) is not a new mission. It is defined in Joint Doctrine (JP 3-07.6/JP 3.0) as: Operations conducted to relieve or reduce the results of disaster brought on by either natural (flood, drought, fire, hurricane) or manmade (civil violence, nuclear, biological or chemical accident) causes, or other endemic conditions such as human pain, disease, hunger or privation in countries or regions outside the United States. It is generally limited in scope and duration: it is intended to supplement or complement efforts of the host nation civil authorities or agencies with primary responsibility for providing assistance. Consequence Management (CM) is a new mission. It is the response to (1) deliberate or inadvertent release of CBRN contaminants or (2) the viable threat of release of CBRN contaminants.